CML became the world’s first certification body to issue IECEx certification for Ex s ‘Special Protection’, with UK-based client Abtech Limited becoming the first manufacturer to adopt the concept. 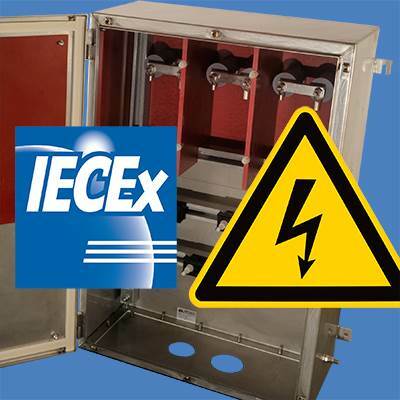 Ex s, standard IEC 60079-33, is the IECEx certification basis for products used in explosive atmospheres where those products do not fall completely within the requirements of the existing protection standards. Often thought of as the standard for non-conforming designs, Ex s in fact allows the IECEx certification of products that may be ahead of the standards development committees, particularly evident when it relates to the introduction of new technologies that do not comply fully with the existing methods of Ex protection. Prior to Ex s, products had to meet all standards to the letter – with no room for flexibility – and it is this which makes Ex s such an important addition to the IECEx system and the IEC 60079 series of standards. The purpose of the standard is to provide a framework for manufacturers and conformity assessment bodies to work within when a product design doesn’t fit the current conventional approach. It allows independent experts to use their expertise beyond the restrictions and compromises that can arise from standards that attempt to apply generic methodologies widely. At CML we are able to draw upon our technical expertise in the assessment, testing and certification of a wide range of equipment for use in explosive atmospheres. An example of this is our first IECEx certification under this standard. The product in question is a terminal box which has a rating which exceeds the maximum permitted voltage for increased safety. Using our expertise and the expertise of industry specialists, we were able to confirm the Abtech designs and ignition hazard assessment did not result in an increased risk of ignition, allowing the prestigious IECEx certificate to be issued. Although the purpose of introducing Ex s to IECEx is not to open the doors to previously non-compliant products, it gives those well-designed Ex products a way of achieving certification for international markets. Whilst we don’t believe the Ex s concept will become very widely used, its introduction gives manufacturers the ability to be more innovative in their design process.